Christopher Rolleston was appointed Commissioner for Crown Lands, Darling Downs, in 1843. 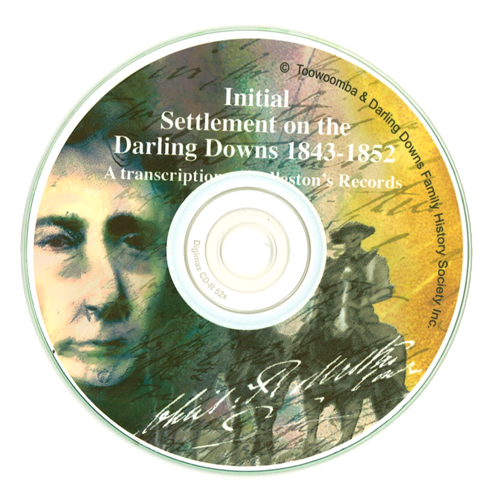 His letterbook, itineraries, diary and record book constitute some of the most significant contemporary accounts of life and government on the Darling Downs during the 1840s for historians today. While the manuscripts are a rich lode of historical gold, the hand-writing was such that many a historian has gone home from the library extremely disappointed with the work completed that day. This faithful transcription overcomes that great shortcoming and reveals this rich resource to all. Includes Aborigines, Border Police, Building Licenses, Convicts & Exiles, Ticket of Leave Renewals, Court of Petty Sessions Cambooya, Runs, Descriptions of Runs, Transfer of Runs, Inquests, Pioneers, Squatters, Timber Licenses. The original records are held in the Mitchell Library (ML) New South Wales.